During the early part of 2013 the Rotary Club of Normanton intends to host an award scheme to allow the community to recognize young people’s commitment to helping others. The young person, or group of young people, judged to be the achiever for 2013 will receive a gift of £250 to be donated to a charity of their choice and a personal gift of £50. There will also be book tokens of £30 & £20 for the best runners up. The Rotary Club of Normanton may consider nominating the outstanding Achiever for 2013 for a National Rotary Young Citizen Award. We would strongly urge you to make a nomination for this award because by doing so you acknowledge the important contribution made by young people to our community. I would be obliged if you could arrange to have the nomination form returned to me by the 28th February 2013, by e-mail or hard copy to my address which is shown below, alternatively passed to any member of the Rotary Club of Normanton. Please do not hesitate to contact me should you require any further information, or clarification of the attached documentation. After all these years the plus side has to be a new fence? Interesting rumor and gossip plus the facts containing the police vans and HMRC deportation van on Featherstone Lane today. The side door has an interesting sign if anyone has a picture. Worrying was the amount of mattresses visable on the floor. Considering the implications it is not surprising to find out that empty premises in Featherstone have been approached for use as the same. How many such places already exist? Rumor and gossip seems a little spicy this week. Is Featherstone high school shutting and houses to be built? Is St Wilfrids moving to Wakefield? Featherstone Rovers were not the only ones with a world record on Sunday. 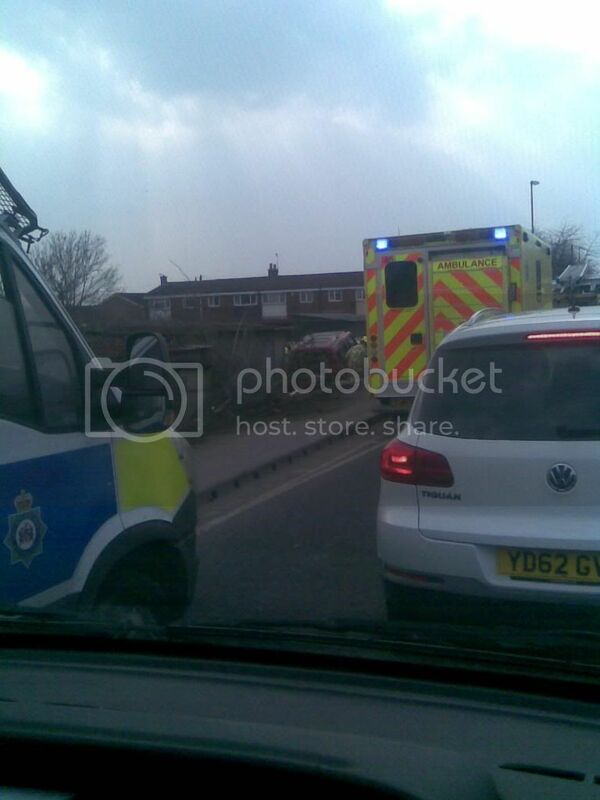 The gas works traffic lights managed to cause a traffic que up to Coplys Farm. If that was not enough the Top House lights kicked in on Monday allowing abot 7 cars a time to pass. Perhaps people will now wake up and realise this is also the finished plan to comtrol traffic. You know who to moan at! It is just tempory lights operating at the moment on Top House corner. The point is the finished product propossed will have the same light system. A good time for the public to moan would be now (plus saving loads of cash). A trafic survey is currently in place that could be assumed to be calculating traficlight change timing. Where will all the parked cars go when the road is opened? I suspect another example of the dark side of local politics. Amazing when a baths had to go it became faulty beyond repair. Amazing when a swimming pool was needed the school was great. Amazing when a sports centre was needed the school was great. Nothing of course to do with any contacts or cash. No surprise now then the school is bad. Will it be beyond repair? If any contracts leading to cash for a new housing estate result you shouldn’t be shocked. Sounds like there will be a great deal of fun. 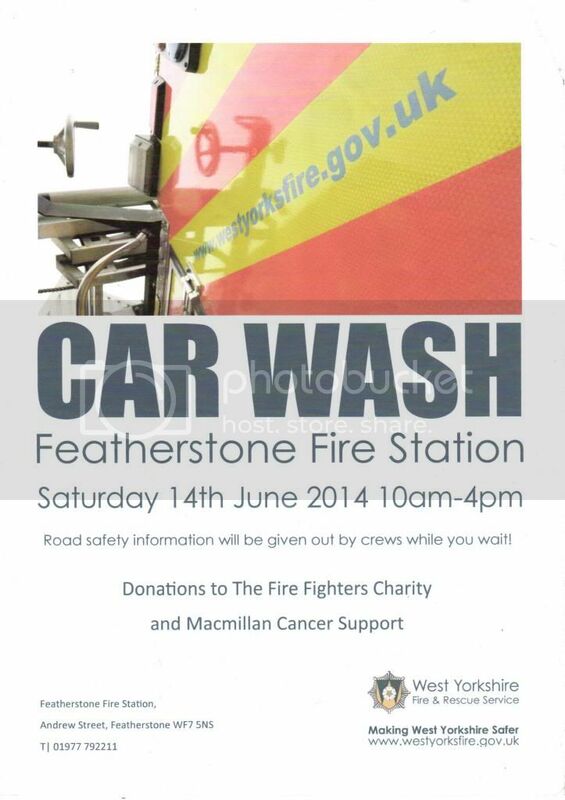 Not only can you get a car wash for a donation to a great charity you can enjoy the free activities. The Mini (as in car) simulator should be interesting testing driving skills. 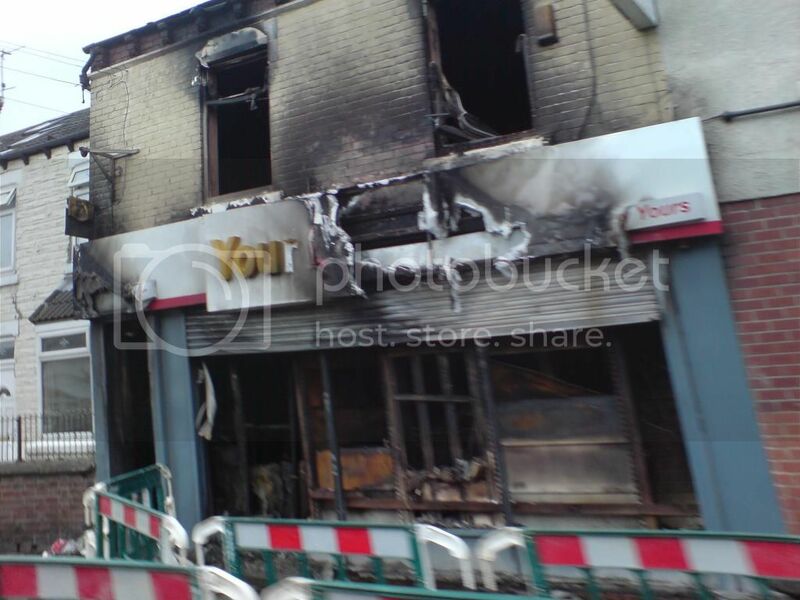 Green Lane closed yesterday due to the convenience store setting on fire. Early reports suggest the fire started after gas equipment set on fire whilst mending a fridge. Green Lane closed again this dinner time while checks for more fire and structural issues were investigated. A new local song writer/singer has some interesting songs. Girnhill Lane working men’s club would be interested considering the recent venue. See if you can follow my curiosity further. You may remember the Muslim refuge sign placed above the side door of this shop about 2012 that caused some chat. I believe this guy was busted with lots of police in 2013. That's 4 years on remand having an easy sentence as I see it and will be out soon. I don't see that in the press? One further twist to really make you think. About 4 weeks ago the same property set on fire and was attended by police and fire services. The cause of fire should be asked as it probably was due to electrical extensions. These were serving the residents still on mattresses still on the floor and the mosque in the attic basically as it was in 2013. Still no immediate action I see apart from a little more information from locals. The same person sent down was searching Featherstone for a similar property and had tried to rent a similar size property at the top of Station Lane. Lets just say he did succeed what about that one? You don't have to look hard in Featherstone or any town to find a shop that appears to have no customers.